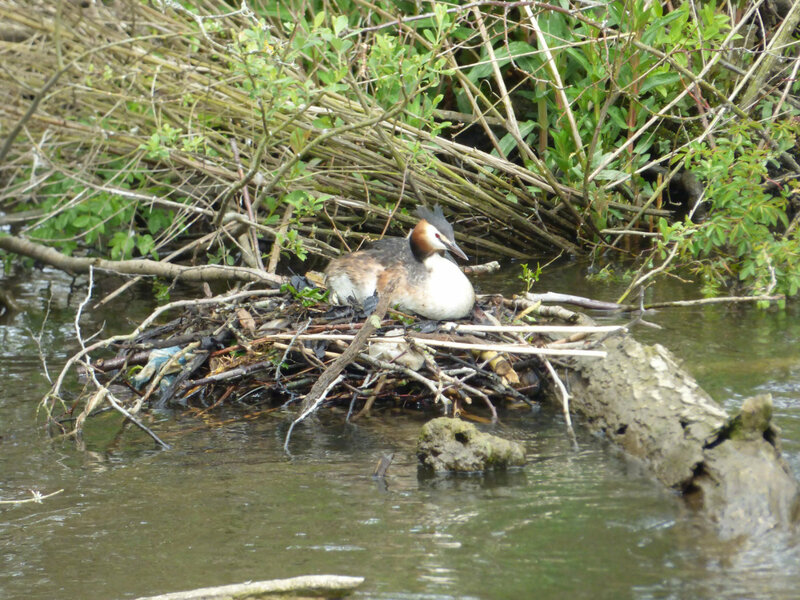 Our river trips are something of a Great Crested Grebe nest and ‘newly hatched’ safari now. 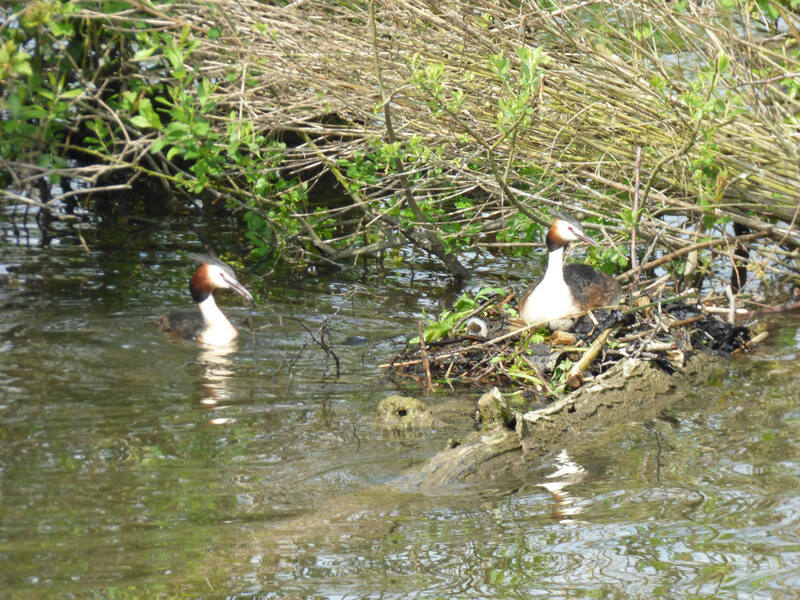 In addition to Great Crested Grebes nesting on Salhouse Little Broad and a river bend in Woodbastwick, there are at least five Grebes nests on Salhouse Broad. Remarkably four of these are very close together in what should be called “Grebe Bay”, near a spit of trees at the top end of the broad (shown below)! 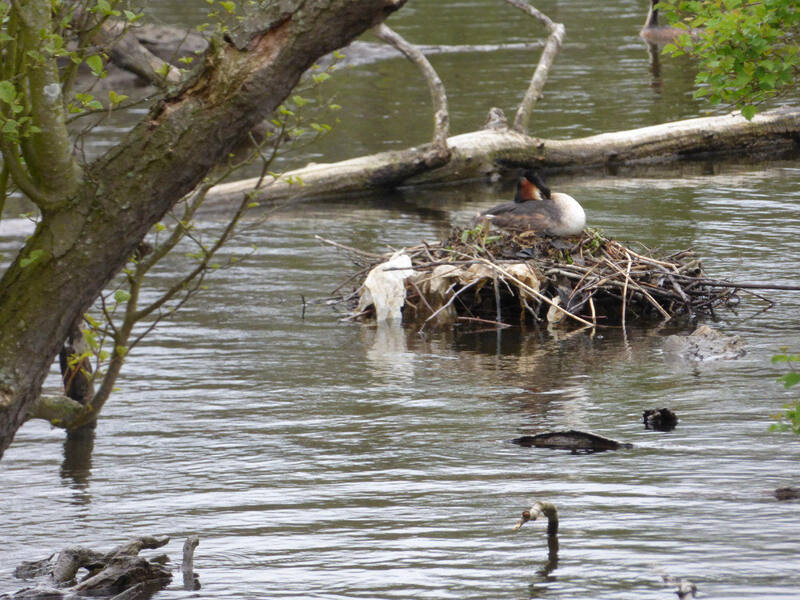 Our passengers have loved seeing so many Grebe nests close together and watching the male Great Crested Grebes tirelessly carrying sticks and vegetation to add to the nest. Grebes are particularly interesting because they are a distant cousin of the Penguin, with their legs positioned a long way back on their body. This makes them great for diving but very ungainly on land. As a result they build floating nests for their eggs and then carry their young ‘Greblets’ around on their backs when they hatch. The first of these pictures shows a Great Crested Grebe nesting on the edge of the trees on “Grebe Bay”, while the second shot shows another Grebe nesting only a few feet behind it further into the trees. 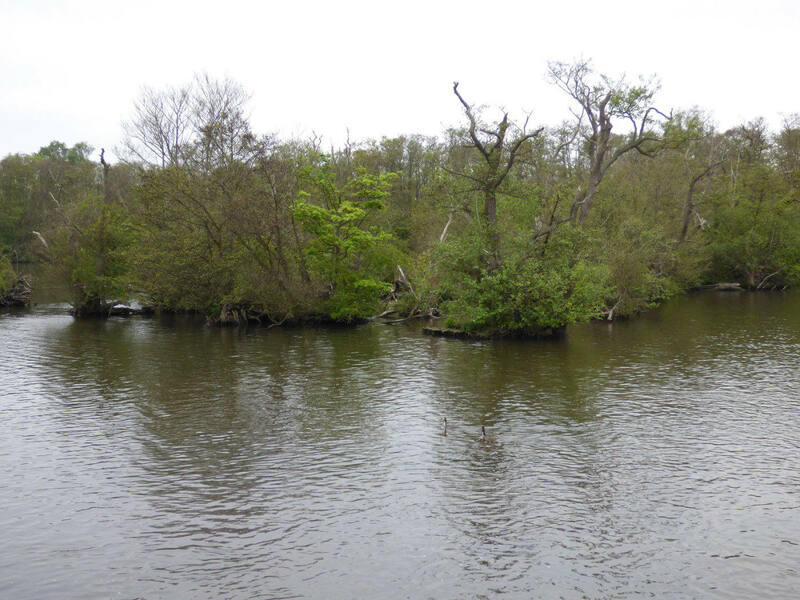 This area of Salhouse Broad is full of plenty of other birds too. Most notably the picture below shows a Common Tern nesting on the branches – one of the first of these agile little birds to have returned for the summer after its long migration from Africa. A great highlight of heading out on the water at this time of year is seeing the dozens of adorable goslings and ducklings. 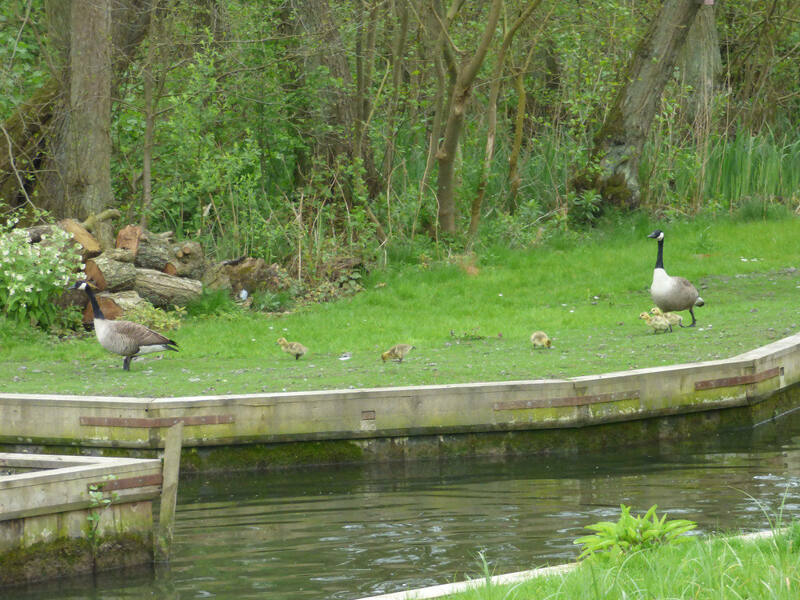 This picture shows the Canada Goose family that we featured a few weeks ago on the blog nesting on Wroxham Island. 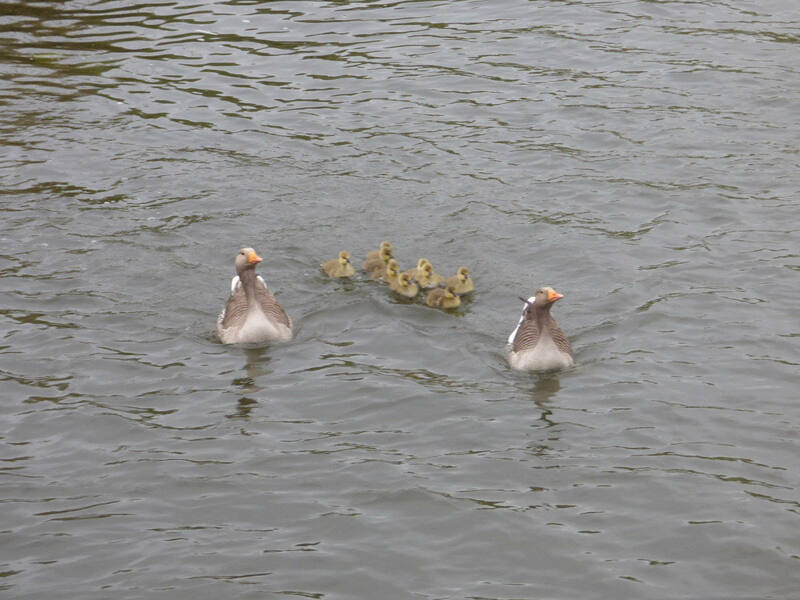 Having hatched their gosling on the island they moved them to a riverside garden for a week and are now taking them on their first swimming lessons at the bottom end of Wroxham village. 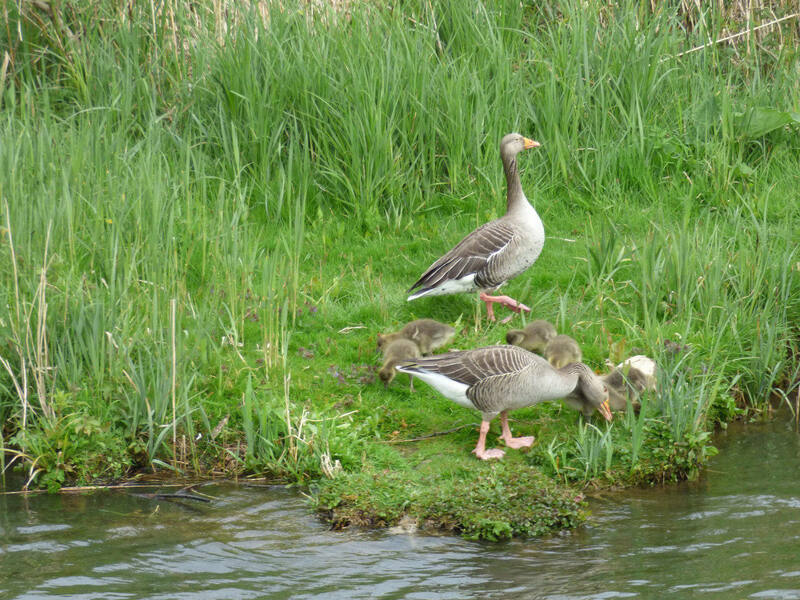 Most numerous are the Greylag goslings and two of these families are shown below. A primary reason that Greylags are the most common geese on the Broads is because they take such good care of their young. 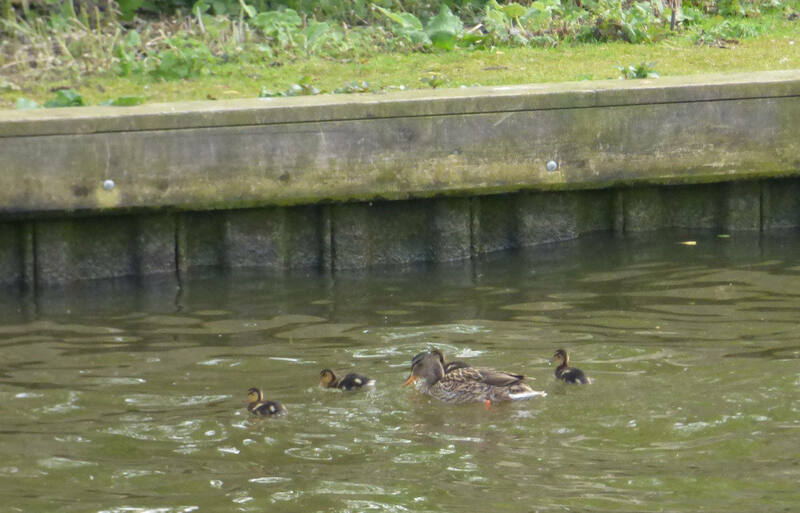 Sadly, ducklings are not usually cared for as well by their mothers but this mallard seems to be doing a good job of it. 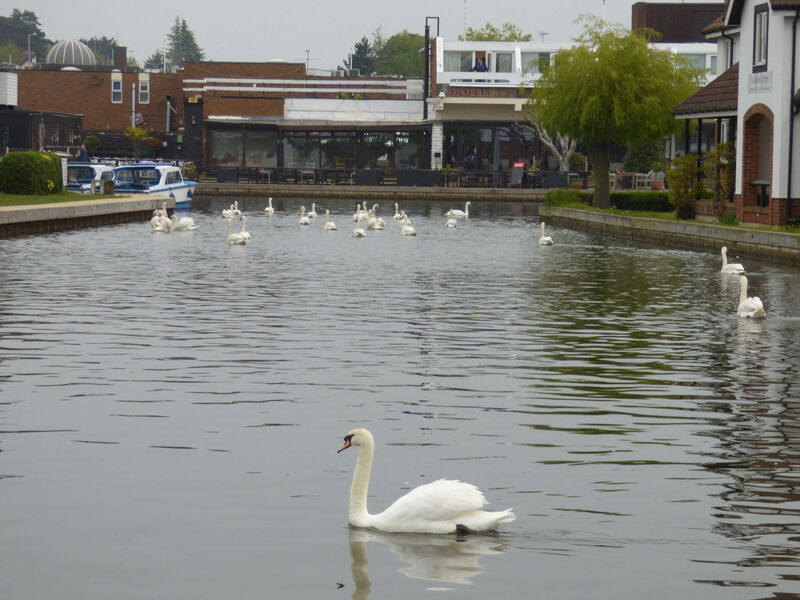 Our skippers Richard and Tobi have reported seeing a swan carrying newly hatched cygnets on her back in Wroxham village. A wonderful sight which we will keep you posted on as soon as we manage to take a picture of it. In the meantime, we have included this picture showing just how many swans there can be in our boatyard. Finally, we suspect that a Kestrel is nesting near Wroxham Island, where we have seen it displaying its trademark fast wing beat hover a lot lately. 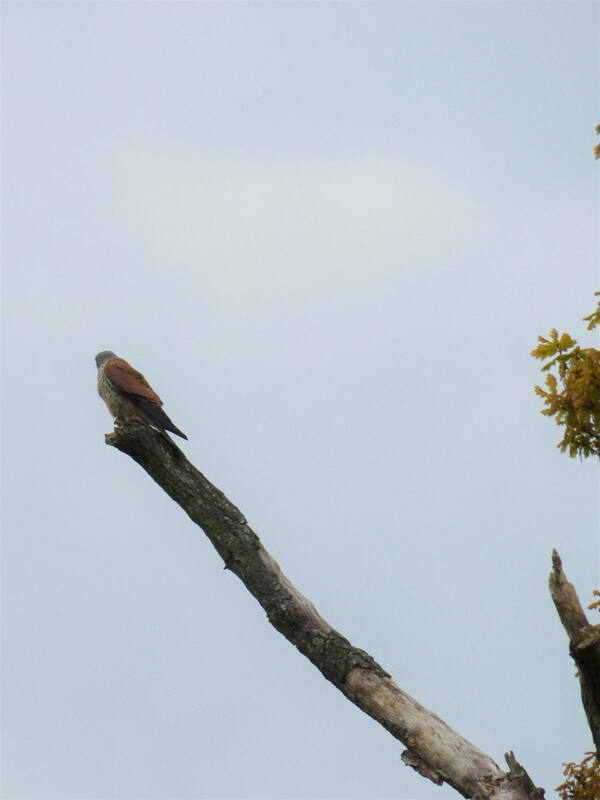 We will leave you with this picture, capturing the moment the Kestrel rested on a tree after being mobbed by gulls.